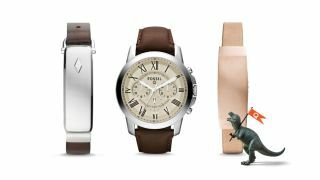 Fossil, the popular watch maker, has a new family member. For $260 million (about £170m, AU$364m), Misfit will join up under the Fossil Group, though it will keep making its own wearables. "We will continue to develop activity trackers under the Misfit brand and Fossil Group will scale Misfit technology across Fossil, Skagen and a targeted portion of its portfolio of 16 brands in 2016," a Misfit representative told techradar. "We're excited to join this world-class company to expand our wearables offerings to Fossil Group's portfolio of products in addition to growing Misfit." Known for its affordable fitness trackers, the Shine and Flash, Misfit has previously partnered with Speedo and Swarovski to create brand-specific trackers, though it hasn't been an easy road. Sonny Vu, chief executive and co-founder of Misfit, told Wall Street Journal about the difficulties maintaining a name as a start-up wearables company without a mainstream brand. However, he hopes to expand under the larger company's capabilities. We'll probably see more premium Misfit products in the future considering Fossil makes traditional-looking timepieces. What's more, its recently released its own smart devices. With Tag Heuer's pricey new entry, it looks like more traditional timepiece makers are jumping into the connected wearables space. Apple Watch and Moto 360 better keep an eye on these new old brands.